Some of the reasons may surprise you! 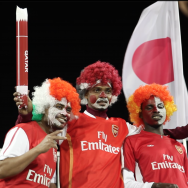 Qatar's Ministry of Development Planning and Statistics conducted a survey, with the help of the Qatar Football Association and the Sports Statistics Technical Committee, to study the reasons why people do not attend football matches in Qatar. 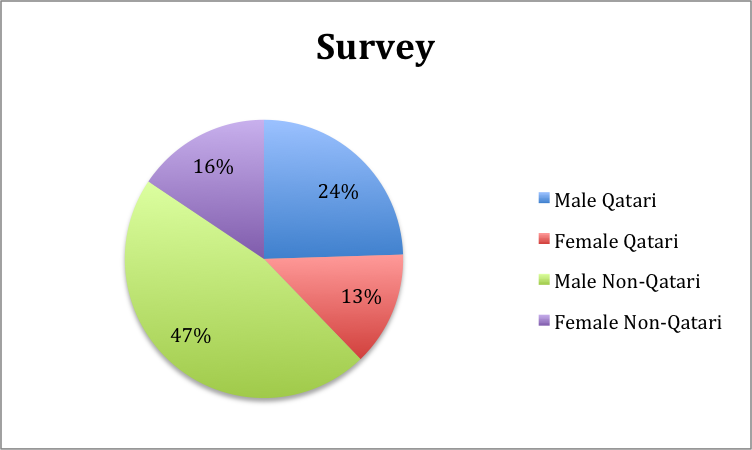 This survey was published in 2014, and studied residents' attendance during the 2013 football season. 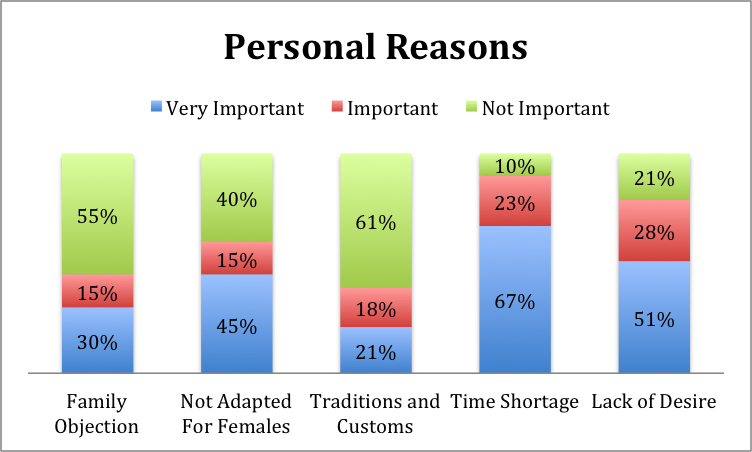 The results were divided into the following categories: personal reasons, organizational causes, and service causes. Sixty-seven percent of respondents cited a lack of time as a "very important" reason for why they didn't attend a match during the previous football season (a further 60 percent said games that took place on weekdays were also a "significant obstacle," according to the accompanying press release from the ministry). A lack of interest to attend the games, as well as the fact that the stadiums are not adapted for females, were two other important personal reasons. Sixty-nine percent said that traffic congestion was a "very important" factor that discouraged them from attending matches. 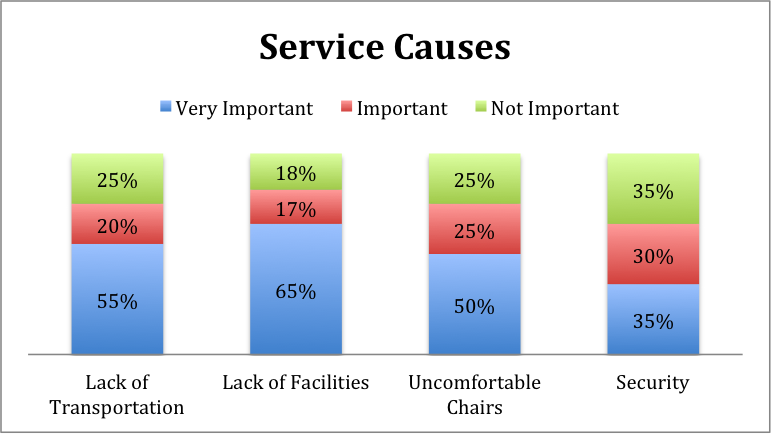 Sixty-five percent said that lack of facilities, such as mosques, restaurants, and parking, was a very important reason for why they didn't attend a game. In addition, the ministry stated in a press release that nearly 73 percent of respondents said climate (such as heat, humidity, wind and dust) played a role in why they did not attend matches, as did television coverage, which 65 percent cited as a reason for not attending a game in person. Sixty-nine percent of the people surveyed said paid fans (individuals hired to fill stadium seats) were also a reason why they were discouraged from attending matches. Likewise, 60 percent said "the absence of local football stars reduce their enthusiasm to go to stadiums." 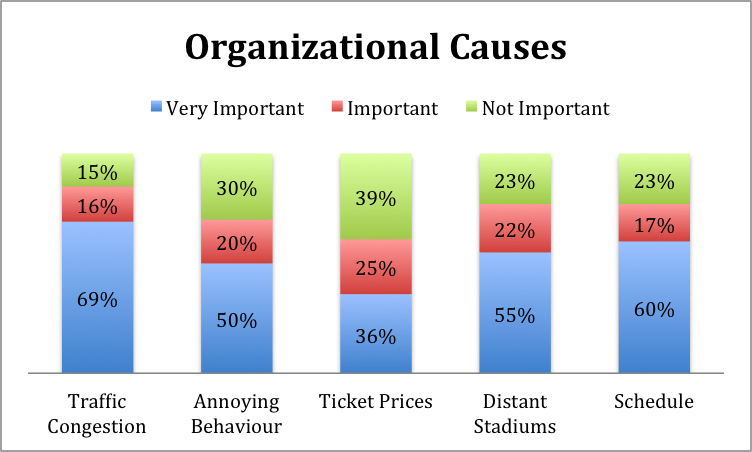 Moreover, 50 percent indicated that "annoying" audience behaviors dissuade them from attending matches at stadiums.